Hello Mamas, I’m here to tell you why you should LABEL everything including your children while at Walt Disney World. For labeling our children we have done a few different options. My favorite is Safety Tats. 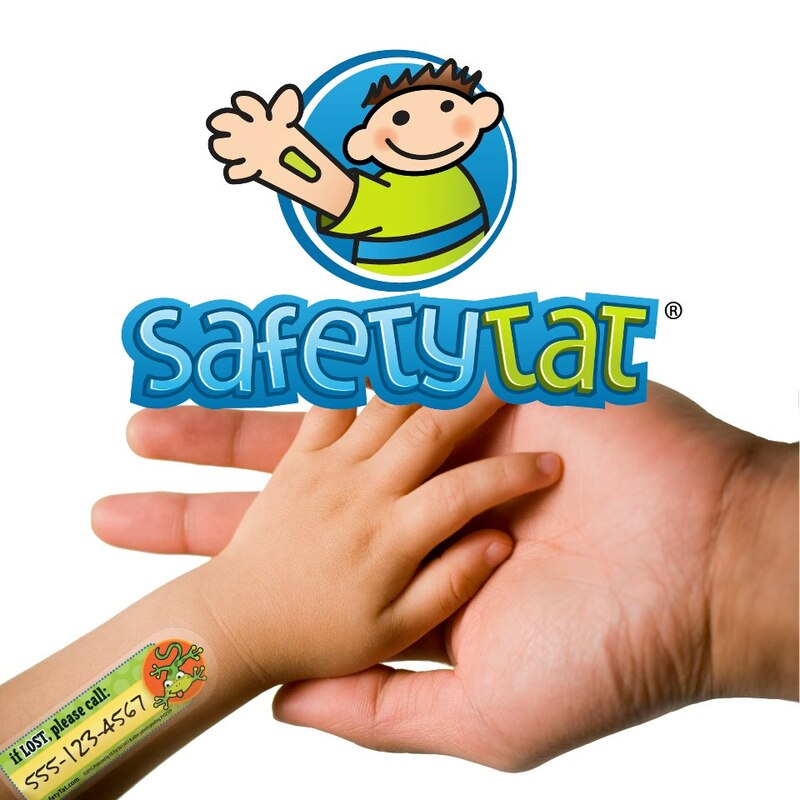 It is a temporary tattoo that can be customized to have your contact information on it. Never put the child’s first name on it, just list your last name and your cell phone number for super safety. At Disney, they can find you with just that information and know which park you are in, etc. Thankfully neither of our children have wandered off but I can see it happening quite easily. There are crowds and to children it looks like a sea of legs. No matter how careful of a parent you are, it can happen to you and your child. This gives me peace of mind that if it happens my child will be reunited with me quickly. Our oldest understands what the tattoo is and if he should not be able to find mommy or daddy he is to stop and either ask a cast member or the nearest mommy to him for help and show them the tattoo. You can find their facebook page here and their website here . To remove the safety tats the easiest I have found baby oil works the best. You can get a travel size of baby oil at most baby stores and Target. Please note the label below is the one you write on. I prefer the custom printed ones personally. In addition to labeling the children, I would recommend labeling some of your items as well. Your stroller is the next most important item to label. If you have rented from my favorite stroller company, Kingdom Strollers then you will already have a label on your stroller. If you brought your own stroller, the sky is the limit on the options you can do. On etsy there’s so many options you can purchase and print or you can create your own. Anything that will help it stand out. 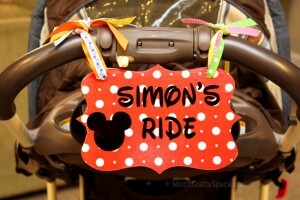 In addition to labeling our stroller we put a scarf or bandana on it as well for an extra identifier. I don’t think anyone goes to Disney and takes another person’s stroller on purpose but it is very easy to mistake one for yours. We also label special bibs, special blankets, our diaper bag, and our camera. 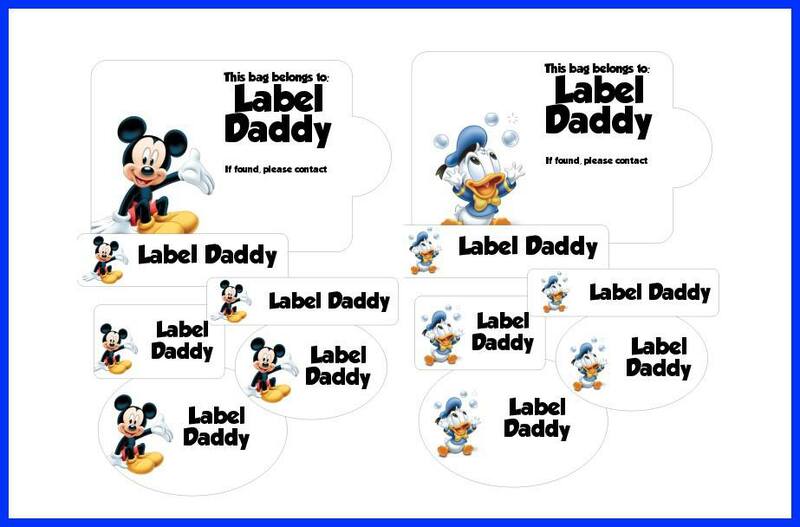 Our last batch of labels came from Name Bubbles but I recently stumbled upon Label Daddy. 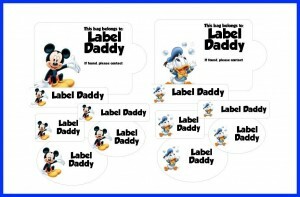 Label Daddy has licensed Disney labels! I can not vouch for the quality other than the reviews I have read but our next label order is going to be from them. Their facebook page is here and website is here. Safetytat also does labels now as well. Look how fun these are! 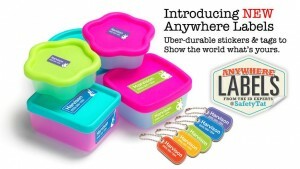 With labels on the important things, you are sure to be reunited with your belongings (or child) should they become lost. There is a lost and found at every park at Guest Relations. For items left on the Disney transportation options, there is a lost and found at the Ticket and Transportation Center. And at your resorts, there is a lost and found with the resort Concierge.